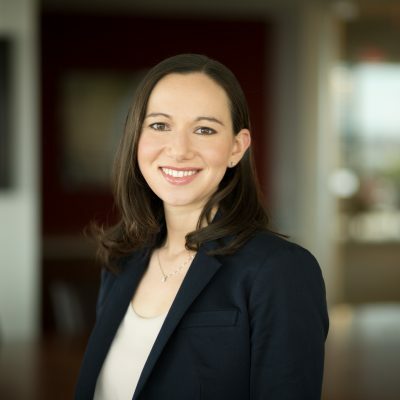 Sarah Martin is a litigation associate specializing in complex commercial litigation involving ERISA plans. Sarah has represented plan sponsors, trustees, and corporate officers, among others, in a variety of matters including litigation related to employee stock ownership plans, fiduciary litigation, and government investigations. Sarah has experience in drafting motions and legal memoranda, responding to subpoenas and requests for production of documents, engaging in pretrial discovery, and preparing for deposition. Prior to joining Groom, Sarah clerked for a federal district court judge in the Northern District of New York. Sarah also has experience in the New York Office of an international law firm, where she specialized in employment litigation. While in law school, she interned with the Civil Division of the United States Attorney’s Office for the Eastern District of New York, and was a member of the Moot Court Board and a quarterfinalist in the Pace Environmental Law Moot Court Competition.